Russia’s Air Forces are striking only confirmed terrorist targets, such as Islamic State militants and are not after the so-called ‘moderate’ Syrian rebels, Russia’s deputy defense minister said, revealing that ISIS employs up to 30,000 foreign extremists. “The aviation and other [combat] means are deployed exclusively against the terrorist formations on the territory of Syria. There are no strikes being conducted at any other targets, connected to, for example, the forces of the so-called ‘moderate’ opposition,” Defense Ministry deputy head Anatoly Antonov said on Wednesday. Antonov was speaking at the third meeting of the ASEAN countries’ defense chiefs and their dialogue partners. Antonov stressed that Moscow has been making efforts to step up “practical cooperation” with regional and international actors in connection with the Syrian op. “A round-the-clock direct communication channel has been established with Turkey. We continue consultations with Israel, Egypt, Persian Gulf states. We have agreed with Jordan on the creation of a working mechanism in Amman to coordinate the actions ‘in the sky’ over Syria. With our American partners we signed a memorandum on preventing incidents and providing for aviation flights during operation [in Syria],” the Russian official elaborated. Since the beginning of the operation that was initiated at President Bashar Assad’s request, Russian air forces have carried out more than 1,600 sorties, killing several hundred terrorists and destroying more than 2,000 objects of infrastructure held by the terrorists. Having suffered substantial losses, IS militants have been withdrawing from the line of contact with the Syrian armed forces. However, Antonov also drew the attention of his international counterparts to the bigger picture involved in IS’s terrorist activities. “Today some 25-30 thousand foreign terrorist mercenaries are fighting for ISIL, including those from the Pacific Rim countries and, unfortunately, Russia too. Should they return home, carrying the potential for violence and extremism, they will be preaching radical ideas in our countries or will organize subversive activities,” Antonov said. Russia’s operation in Syria is fully legitimate and in line with international law because it is being carried out at the request of Syrian President Bashar Assad, Antonov said. “This operation is limited to the offensive conducted by the regular Syrian Army against the terrorists,” the Russian deputy defense minister said. Russia is particularly concerned with the growing influence of ISIS in northern Afghanistan, near the borders of Tajikistan and Turkmenistan, as well as in Pakistan. 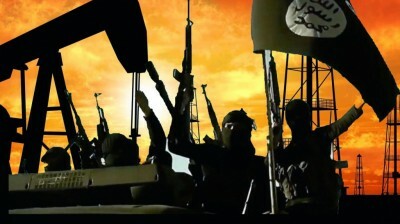 Islamic State militants have already settled in 25 Afghan provinces out of 34, Antonov said. Islamic State’s emissaries in Pakistan are making attempts to establish contacts with other terrorist groups, trying to recruit them to its cause, he said. On a different note, Anatoly Antonov said that certain nations are making attempts to dictate their policies in the Asia-Pacific region through selective military alliances and without considering the interests of other nations. “We believe such policies could lead to a serious confrontation that nearly all regional powers risk being drawn into,” Antonov said.